If you want to improve the quality of DVDs that you burn with Apple’s iDVD I’ve just discovered something really useful. I had always been under the impression that iDVD always used the best possible encoding unless you were trying to squeeze more onto a DVD, and then it started to sacrifice quality for quantity. But there’s a professional quality setting that does a much better job of encoding your video. In digital storytelling we use a lot of zooms onto still images using the Ken Burns effect in iMovie HD. When these are encoded in iDVD the borders of the image jump in small steps rather than present a smooth zoom as seen in iMovie. But with the encoding set to Professional these zooms are smooth; the rendering of still images is much improved too. To access these settings choose Project -> Project Info from the top menu. That option is also misleading because it gives you access to a number of settings too – it’s not just an information pane. There’s a drop down menu called Encoding. Drop this down and choose Professional. You will find that burning your DVD will now take much longer for two reasons. There’s no background encoding so the work doesn’t start until you click burn and higher encoding quality takes longer. I think you will agree that it’s worth the wait. Here’s an extract from the iDVD Help document. When you select Best Performance, iDVD encodes your video in the background as you’re working on your project instead of waiting until you burn it. 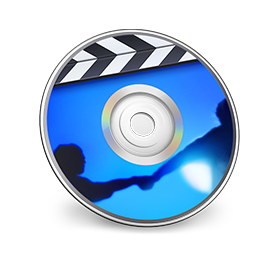 This can significantly reduce the amount of time it takes to create a finished DVD. This is a good choice if your project is an hour or less in duration (for a single-layer disc). You’ll finish your project more quickly, and the encoding quality will be excellent for the amount of video you have. Best Performance encodes your video at a preset bit rate that produces great quality for projects that can easily fit on your disc. If you have a larger project that needs to be squeezed onto a disc, you should select one of the other encoding options. This is the best encoding option for larger projects that are between 1 and 2 hours long (for a single-layer disc). With this setting, iDVD chooses the best bit rate possible for the amount of data you need to fit onto your disc. It’s the only option that “squeezes” all the data onto a disc at a bit rate that ensures a high video quality in your burned DVD. Because iDVD does not encode in the background with this option, it takes longer to burn your disc. The encoding process begins when you burn the DVD instead of when you start working on your project. The Professional Quality option uses advanced technology to encode your video, resulting in the best quality of video possible on your burned DVD. You can select this option regardless of your project’s duration (up to 2 hours of video for a single-layer disc and 4 hours for a double-layer disc). Because Professional Quality encoding is time-consuming (requiring about twice as much time to encode a project as the High Quality option, for example) choose it only if you are not concerned about time.